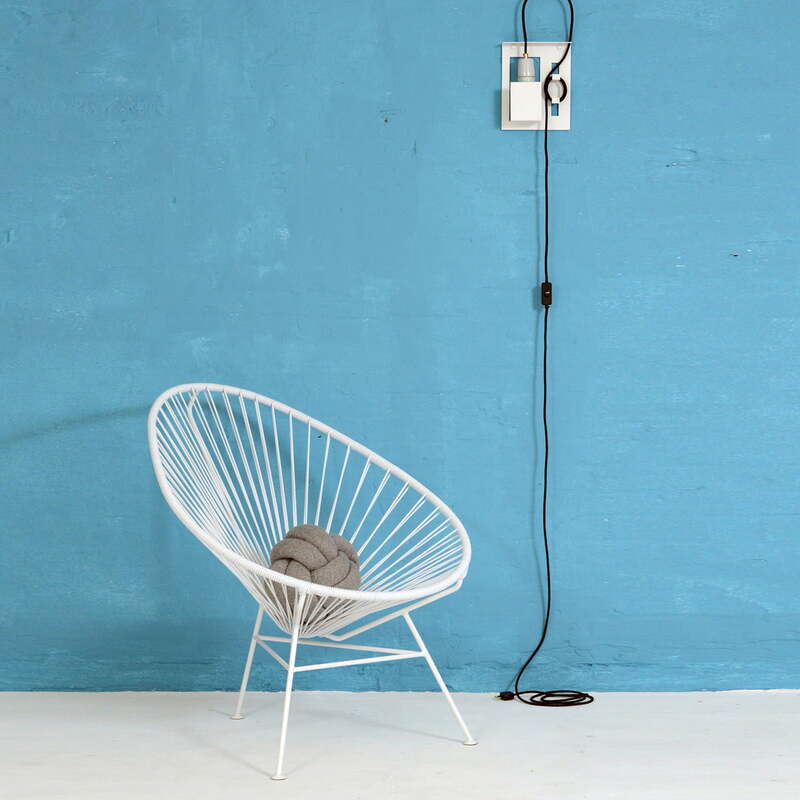 The Acapulco All White boasts simple elegance. 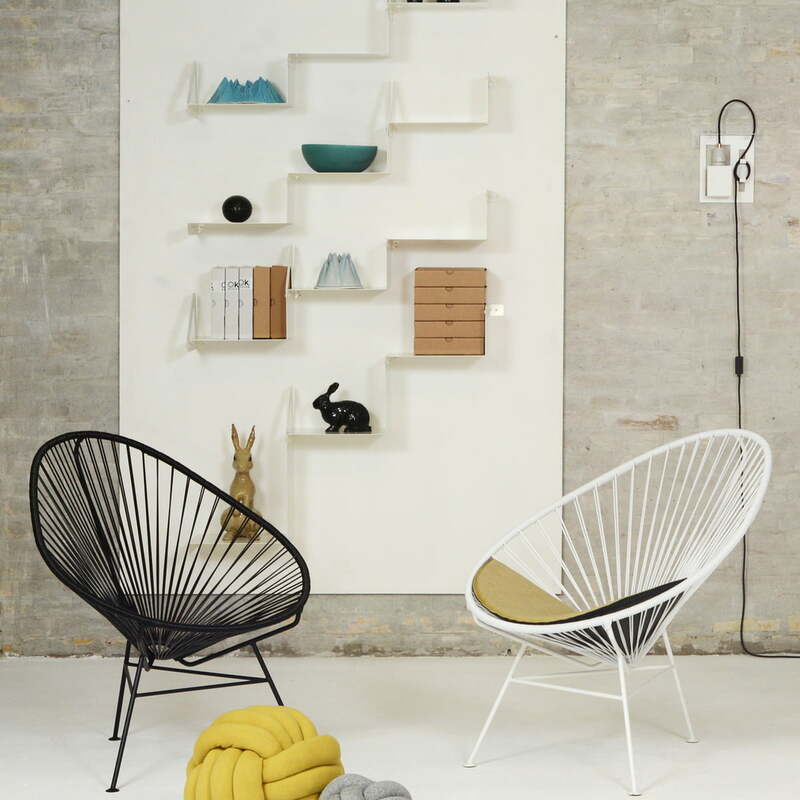 This is because in contrast to the classic Acapulco Chair, which features a black steel construction, this model is completely monochrome. Even the steel legs are painted white, making the colourful accents stand out especially effectively. 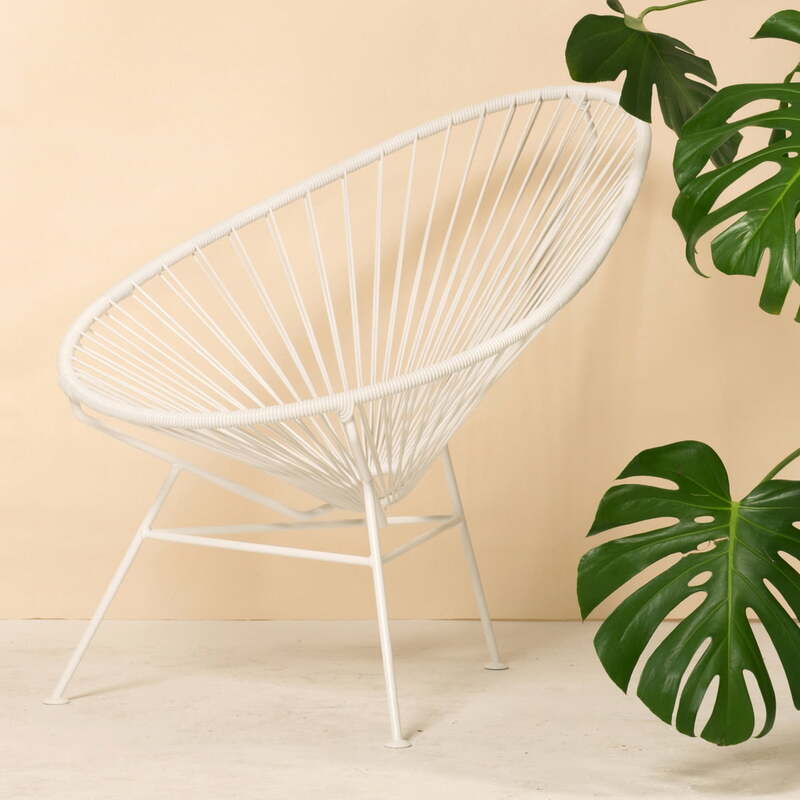 Already in the 1950s, the Acapulco Chair got its name from its Mexican homeland, Acapulco - a place which exudes a special holiday feeling and whose name evokes distant summery associations. 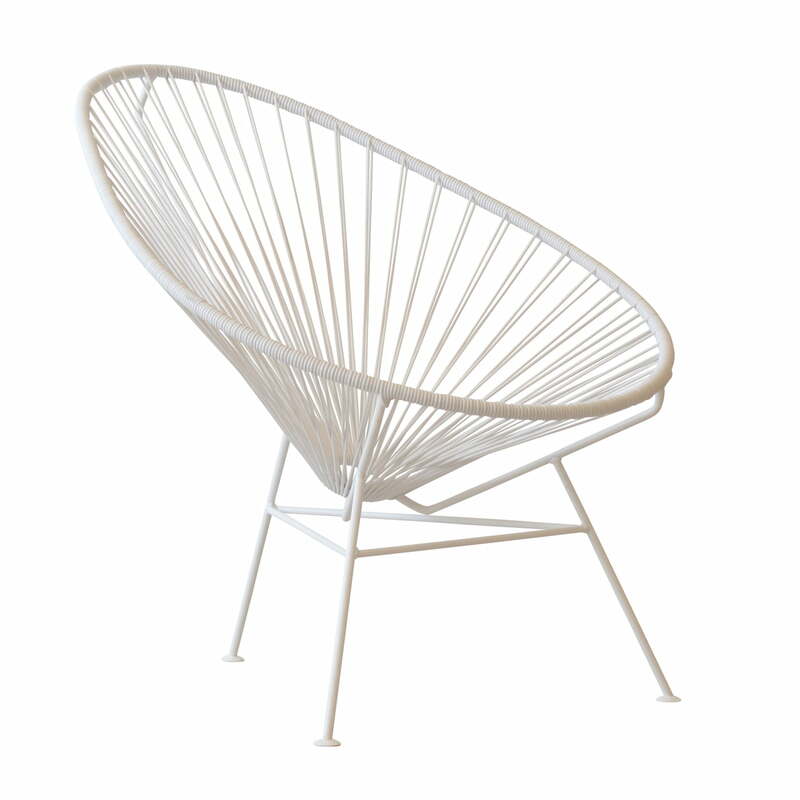 With its modern materials, the Acapulco All White is an extremely durable and robust object. The PVC covering is free from phthalates and heavy metals, as well as weatherproof and UV-resistant. The powder-coated steel construction is also very robust. This means the Acapulco All White can be perfectly arranged in the garden or on the balcony.